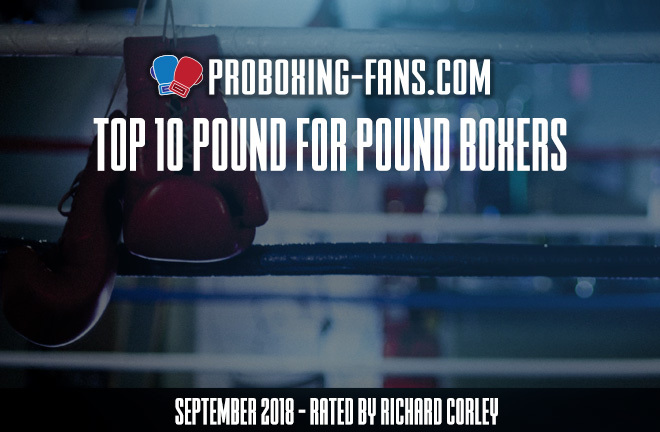 September top 10 Pound For Pound boxers. Here is my take on the best pound-for-pound boxers as the 2018 fight calendar wraps up. This list is organised in descending order of importance. No surprises here. The now three-weight world champion and two-time Olympian is as close to a complete fighter as they come. Hi-Tech showed the heart of a champion in coming off the canvas for the first time as a pro to stop Jorge Linares in their title bout back in May. The Ukrainian boxing extraordinaire has passed every test thrown his way and exceeded all expectations in his amazingly short career. Next Fight: He was sidelined following soldier surgery after knocking out Linares but is now set to return to action in December against underdog Jose Pedraza. He makes things look so easy as when he moved up to welterweight to challenge and dismantle Jeff Horn for the WBO title in June. The win was so emphatic that it catapulted the slick southpaw to the top of the sport’s deepest division and sets up a number of intriguing fights with top names. Next Fight: Crawford has IBF ruler Errol Spence Jr. in his sights but some (including myself) feel that such a fight needs a bit more time to marinate. The first fight of Bud’s new promotional deal with Top Rank will take place against unbeaten Jose Benavidez Jr. on October 13. The exciting Mexican-American superstar belongs near the top of any credible pound-for-pound ranking. The unbeaten four-weight champion has already strung together two impressive wins over Sergey Lipinets and former lightweight titleholder Robert Easter Jr. this year. Next Fight: The ambitious 30-year old is in talks to face the legendary Manny Pacquiao next but really wants to challenge IBF 147 pound champion Errol Spence Jr. The latter might be a bridge too far at this point but you have to love Garcia’s no-fear approach to testing himself against the very best. The three-weight world champion appropriately known as ‘The Monster’ has been unleashed upon the bantamweights within the upcoming World Boxing Super Series. Few have been able to withstand his clinical and devastating body shots, traits that Inoue honed in his native Japan where he was already a superstar. At just 25, Inoue is firmly in his prime and improving with each outing. Next Fight: Fans will get a chance to check out this exciting and violent technician on October 7 when he climbs into the ring to take on former WBA bantamweight champion Juan Carlos Payano in Yakohama, Japan. He is the heavy favorite to win the entire Super Series tournament and become a unified champion. Alvarez and Golovkin once again delivered by giving fight fans another exciting, close match on September 15th that was even better than their first meeting a year ago. However, it was the tough Mexican, who emerged victorious by a razor thin margin to become the new unified middleweight champion. The win resurrected his sinking standing in the boxing community after that controversial split draw with Golovkin followed by two failed drug tests. Some would argue that Canelo is a bit overrated but few come close to matching his elite combination of talent, marketability and charm as boxing’s royalty. Next Fight: Many covering the rematch scored it for Golovkin but the final verdict was not a controversial decision like the first fight. Looks like Canelo will be meeting his nemesis again in a pivotal rubber match to settle the score. Considered by many to be at the very top among today’s welterweight stars in the post-Mayweather-Pacquiao era, the Texas native has talent in spades. The 28-year old Spence and former U.S. Olympian does not just beat opponents, he beats them up and has the record to prove it. His drawing power is growing fast and it is just a matter of time before he breaks out into full superstardom. Next Fight: Spence wants all of the top welterweights and the evidence suggests that he is ready. Newly crowned WBC champion Shawn Porter appears to be next on his hit list and we could not be more thrilled about that exciting prospect. It was a tough break for the now former middleweight champion to narrowly lose to Canelo in their second dust up to decide the planet’s finest 160-pound fighter. The Kazakhstan powerhouse boxed effectively and many thought he did enough to get the win. However, Alvarez surprised many by not backing up and instead threw down with the all-time great puncher. Some are beginning to wonder if Golovkin’s 36 years have finally caught up to him. Next Fight: All roads lead back to Canelo and GGG has made it clear that he absolutely wants a third fight. 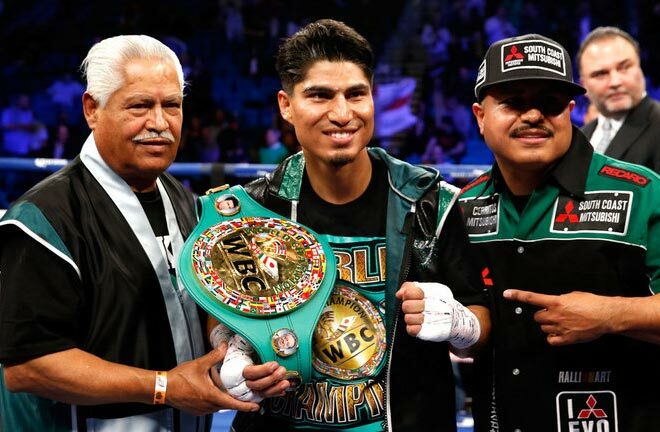 The super flyweight champion has been thrilling fans ever since he burst onto the world stage in 2017 with that shocking controversial upset of Roman “Chocolatito” Gonzalez, whilst taking the WBC 115-pound title in the process. He then proved the victory was no fluke by knocking Gonzalez flat out in the rematch last September. A win over Juan Francisco Estrada followed by his July opening round stoppage of Young Gil Bae in a voluntary non-title bout are sure to keep the popular Thai fighter in pound-for-pound discussions. Next Fight: Sor Rungvisai will defend his WBC junior bantamweight title next on October 6 against Mexico’s Iran Diaz. 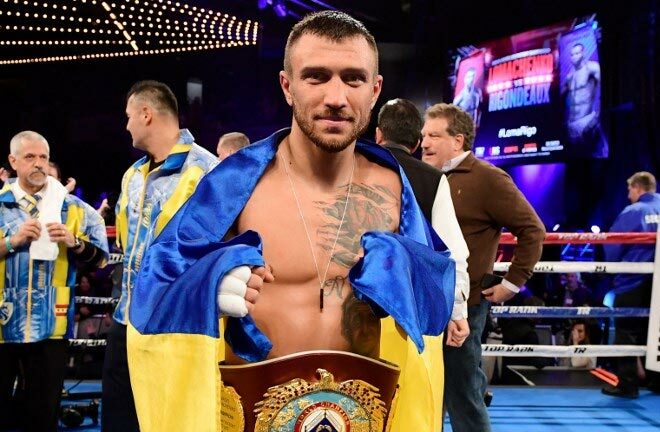 The Ukrainian fighter became the first in history to hold all four major world championships at cruiserweight upon winning the inaugural World Boxing Super Series. His ability to thwart the threat of dangerous opponents like Gassiev and Briedis is a testament to the champion’s technical brilliance. The 31-year old southpaw is poised to rule the division for some time to come. Next Fight: Usyk’s recent signing with Eddie Hearn’s Match room Boxing just put his career into maximum overdrive. Usyk will defend all four major belts on November 10 in Manchester against Tony Bellew in a massive UK showdown. Joshua has had a picture-perfect career thus far on paper. That thrilling 2017 comeback 11th round TKO over former champion Wladimir Klitschko ranks as his most significant victory to date. Since then, the powerful Brit won a third world title by adding Joseph Parker’s WBO strap to his growing hardware. However lost his 100 percent knockout streak in the process. AJ has taken some criticism lately for his uneven performance against stubborn contender Carlos Takam and failed negotiations with WBC champion Deontay Wilder. Next Fight: Joshua has vowed to bring back his crowd-pleasing aggressive style against dangerous Alexander Povetkin on September 22 on Sky Sports Box Office at historic Wembley Stadium.